After 1988, Iron Maiden took a creative nose dive. Perhaps the years of extended touring took a toll on the band. Or, perhaps, after the classic 1988 album, “Seventh Son of a Seventh Son,” the band’s well had run temporarily dry. Perhaps the band members were just sick of each other and needed a break. Whatever the reason, “No Prayer for the Dying” and “Fear of the Dark” were very much hit-and-miss albums. 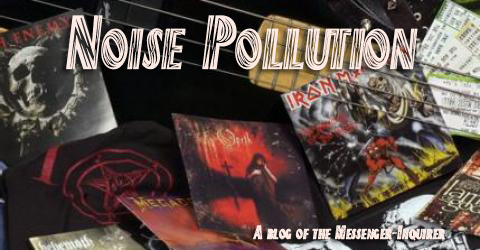 It’s also true that, around 1989, the metal scene began changing dramatically; compared to metal albums like Soundgarden’s “Louder Than Love,” Pantera’s “Vulgar Display of Power,” and Alice in Chain’s “Facelift,” those post “Seventh Son” Iron Maiden albums sounded like an unwelcome time capsule from 1982. Although the song “Fear of the Dark” is a classic, the majority of the early 1990s Maiden output is uninspiring. When guitarist Adrian Smith left during work on “No Prayer” and frontman Bruce Dickinson departed after “Fear of the Dark,” it seemed like the band’s time in the sun was over. In Jeff Wagner’s biography on progressive metal, Mean Deviation, Dickinson says he was frustrated by Maiden’s desire to stay on the well-trod NWOBHM path. Shortly before and then after leaving Maiden, Dickinson’s made several well-received solo albums — “Tattooed Millionaire,” “Balls to Picasso,” “Skunkworks” and “Accident of Birth” — which certainly had some shades of Maiden, while showing Dickinson wasn’t afraid to go his own way. Darker and heavier than anything Dickinson had done with Maiden, “The Chemical Wedding” paired Dickinson with guitarist/producer Roy Z, Adrian Smith on second guitar and the searing rhythm section of Eddie Casillas (bass) and David Ingraham (drums). Dickinson and Z co-wrote the album (with a couple assists from others in the band), and the two had a musical connection that really shines here. The album was far better than anything Maiden had done without Dickinson in the 1990s, and can stand toe-to-toe with Maiden’s best work in the 1980s. It’s an album that shouldn’t be missed. “The King in Crimson” opens the album with a downtuned, minor-key roar that is more Black Sabbath than Iron Maiden. But even the Sabbath reference lasts only for the first 30 seconds, before kicking into a driving rhythm. Dickinson spits out the lyrics with venom in his voice, and solos are hard-hitting. It makes for a compelling start. “Chemical Wedding” is one of the standout tracks on the album — it’s big, grand, operatic and pounding, with a superb performance by Dickinson. “The Tower” also impresses, with a sinewy guitar line, a pulse-pounding rhythm and another one of those great Dickinson choruses he nails so often on the album. “Killing Floor” is not at all bad, but not quite up to the power of the first tracks. But all memory of “Killing Floor” is wiped away immediately by the rage of “Book of Thel,” which displays Dickinson at the angriest he’s ever sounded in his career. It’s a stunning, blazing roar, one hundred times darker than anything Maiden achieved on “Seventh Son of a Seventh Son” (the darkest of the band’s ’80s albums). Midway through, the tempo shifts upward for a pair of fiery solos, particularly by Roy Z. Somehow, the band manages to wind the tempest down to a piano coda and a bit of poetry. “Gates of Urizen” is slower in tempo (but not quite a ballad), that nicely showcases Dickinson’s ability to sing softly when he wants (although he does soar on the choruses). It’s a solid track, but it gets eclipsed by “Jerusalem,” a reworking of a classic English song that gives Dickinson a chance to indulge his inner Medieval bard. I suppose it jars a bit, compared to the angry outbursts of “King in Crimson,” “Killing Floor” and “Book of Thel.” But, it’s a great work, lovely, even. The twin guitars of Smith and Z also shine again. “Trumpets of Jericho” is a rousing blast of anger and angst, with one of Dickinson’s best vocal performances on the album. It’s a fast, dirty, heavy track, with quite a lot of power. It’s a powerhouse, the first of a powerhouse triple-play that ends the disc. While comparisons to previous Maiden songs are easy (and lazy), “Machine Men” is another examination of the themes of “Two Minutes of Midnight” — but it’s sung from a place of such hate that it’s mind-blowing. “Turn the lights down in your soul/Cut the power to your heart,” Dickinson bites out, with a bile so fierce Dickinson sounds ready to kill. It’s chilling and hair-raising. Which, of course, makes it a standout. “The Alchemist” closes the album on a somber note. It’s musically a bit more subdued than what came immediately before, but Dickinson’s operatic delivery is stellar. It’s perhaps the most Maidenesque song on the album (this song would have fit well on “Seventh Son,” and would’ve closed that disc better than “Only The Good Die Young”). In a nice bit of symmetry, Dickinson circles back to “Chemical Wedding” to close out the song. I spend too much time debating whether certain albums or bands are “progressive” or not, but I think a good argument can be made that Dickinson really stretched his creative wings on “The Chemical Wedding.” It’s bold in it’s dark moments, while also containing a beauty on songs like “Jerusalem” that likely would have been ruled out place on a Maiden album. Dickinson’s skills as a songwriter are really on display here. After the power of “The Chemical Wedding,” Dickinson was able to rejoin Maiden not as a man needing a career boost (since he was actually in a stronger position than Maiden at the time, I’d say), but as a songwriter and performer at the absolute top of his game. I don’t know if every Maiden fan will love it, because it’s way darker (there’s that word again) and bleaker than the traditional Maiden album. But listeners wanting to hear one the best vocalists in metal (if not the best vocalist in metal) grapple with a titanic metal monster, and win, should track down “The Chemical Wedding.” I don’t get the feeling it did much business in the U.S., which is too bad. It’s an album that deserves to be heard.